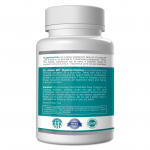 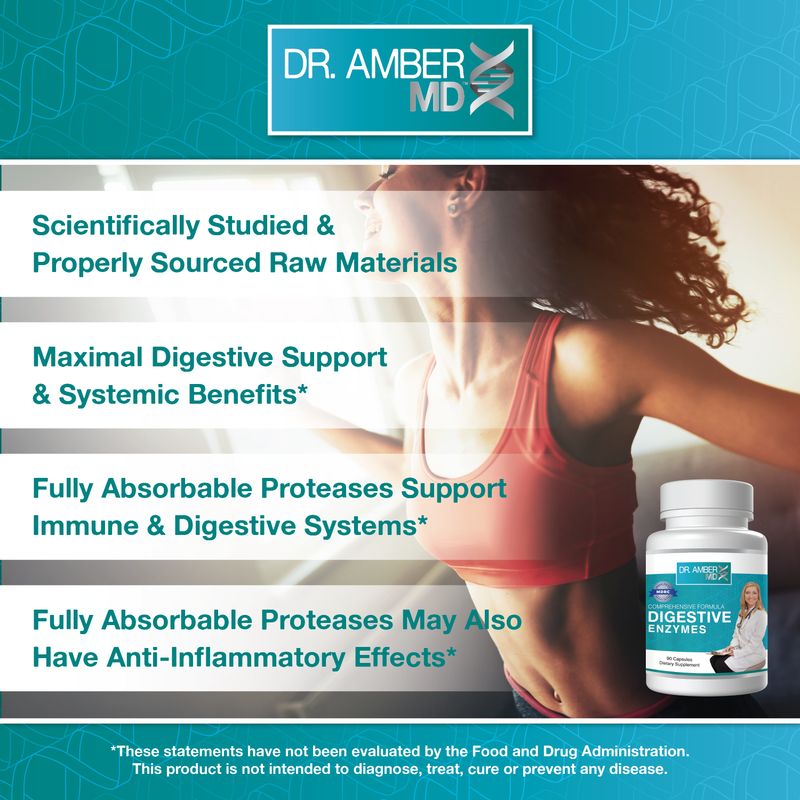 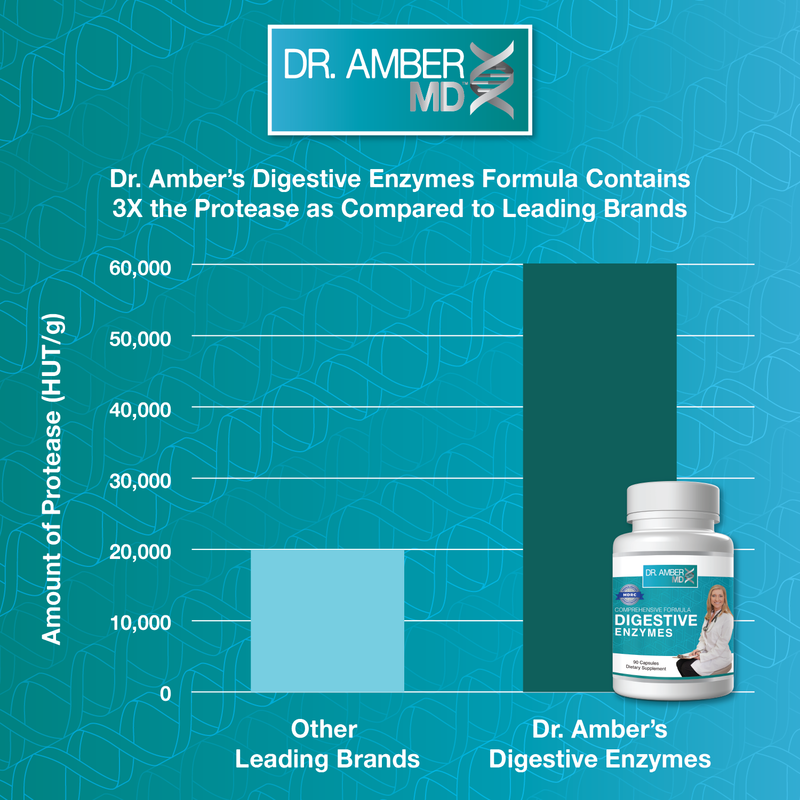 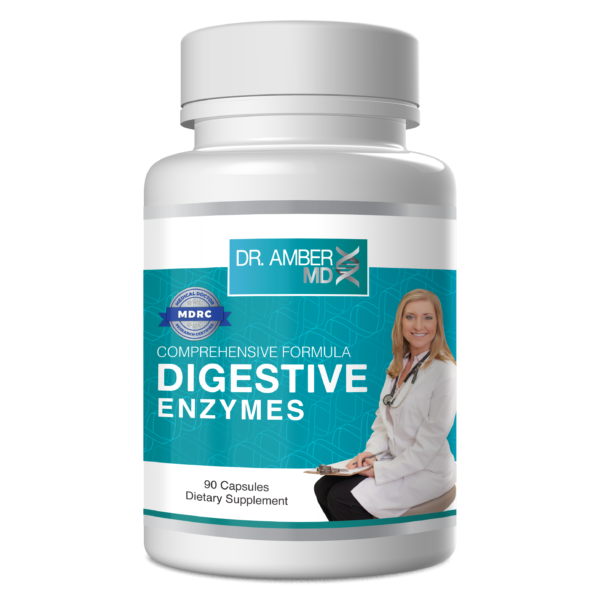 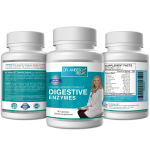 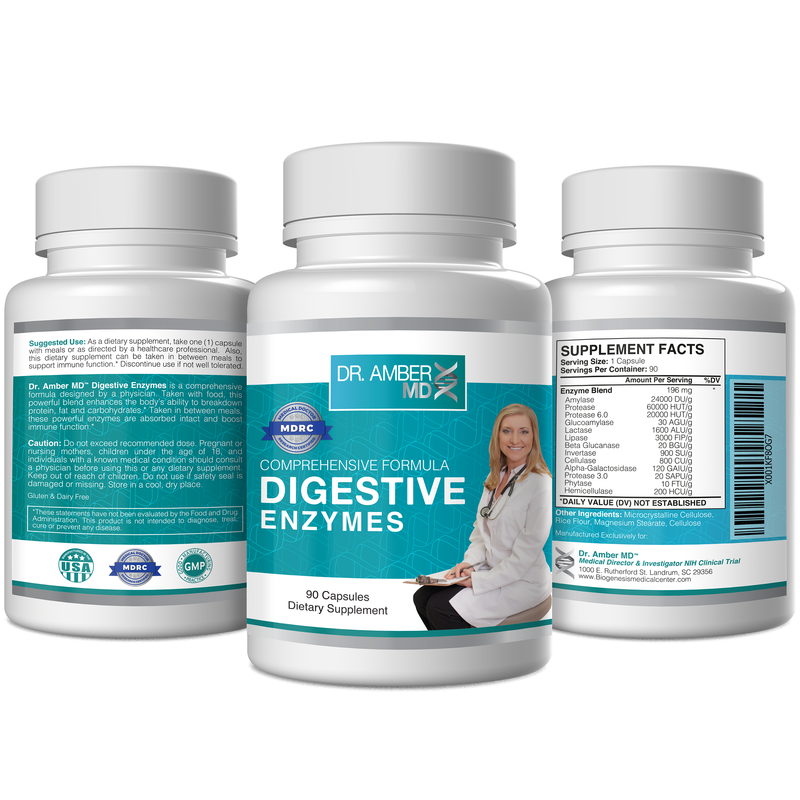 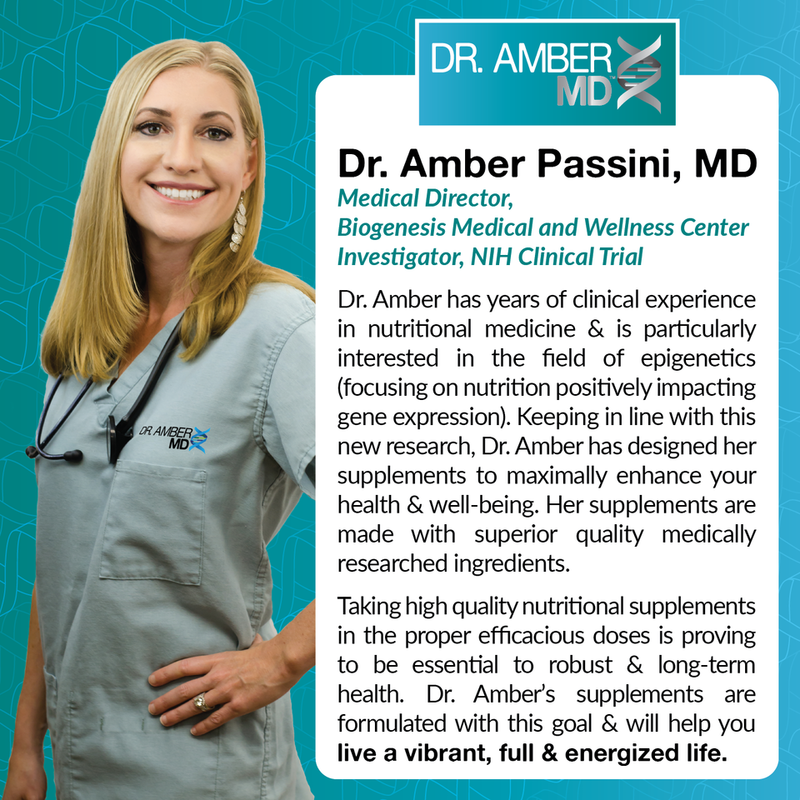 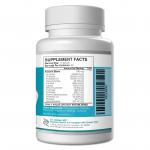 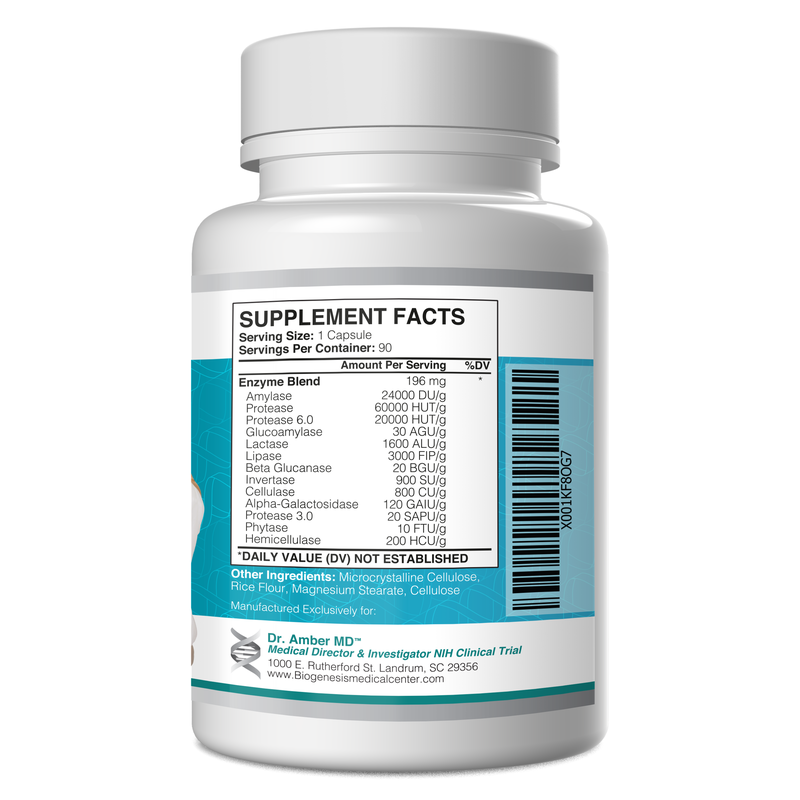 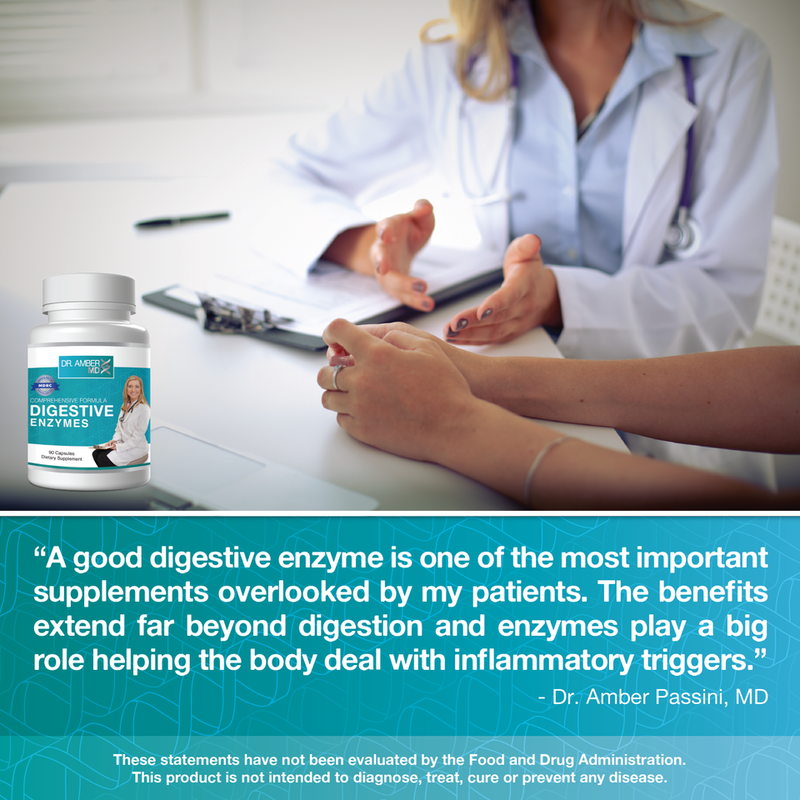 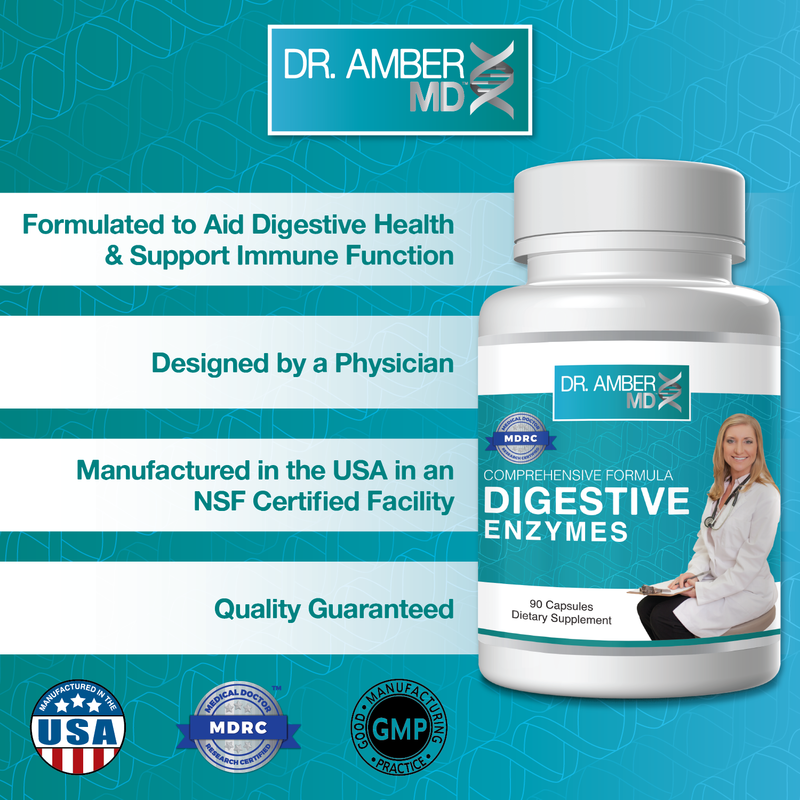 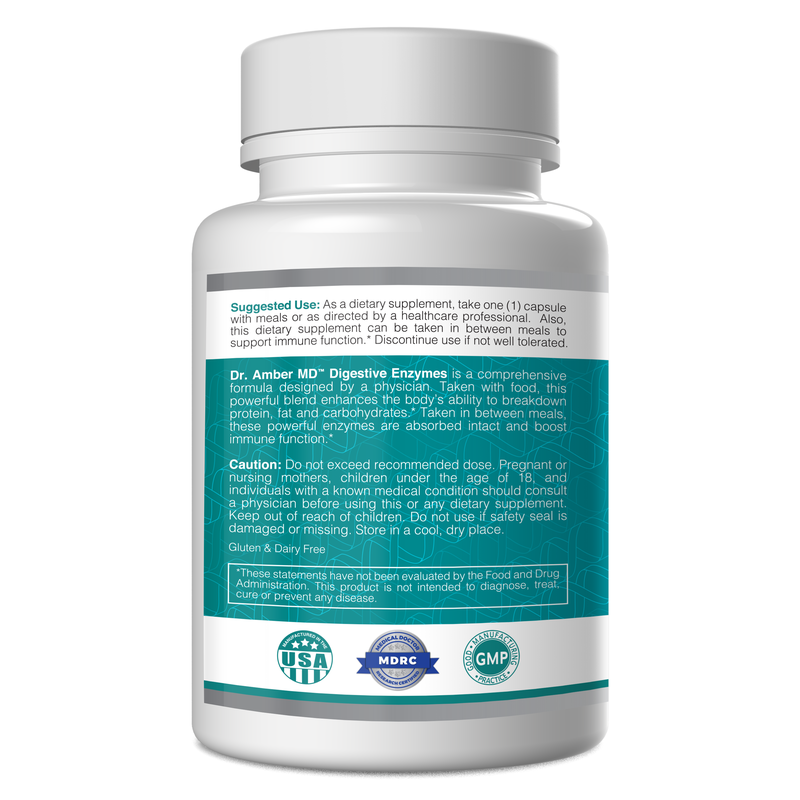 Dr. Amber MD™ Digestive Enzymes is a comprehensive formula designed by a physician. 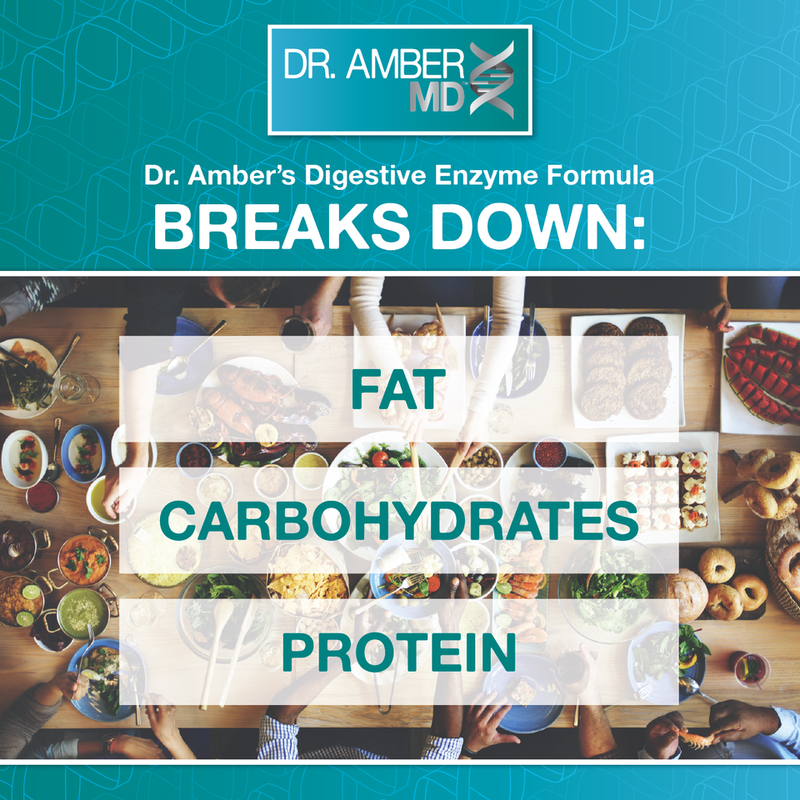 Taken with food, this powerful blend enhances the body’s ability to breakdown protein, fat and carbohydrates. 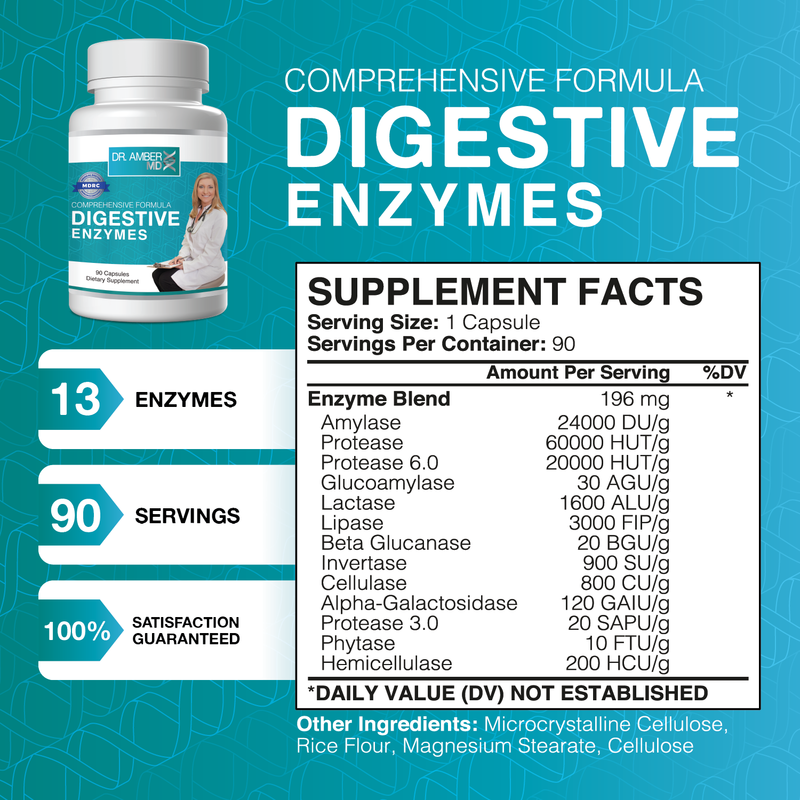 Taken in between meals, these powerful enzymes are absorbed intact and can boost immune function.